There is not another season where you can meet a new person or group of people and invite them to a rooftop bar, the beach, a BBQ, a pool or to (insert outdoor activity here) without sounding like a desperate creeper when you first meet. Believe or not, inviting people you first meet to any of the listed activities makes you look like you know how to have fun and know how to enjoy the summer. Conversely, if you were to first meet someone during the winter months and invite them to a cabin, back in the woods on some mountain, you would be perceived as a desperate creeper. The summertime gives us the leeway to be very forward with our invites right away for various activities. As stated before, it’s hot and although people prefer the heat in order to wear less clothing, they also want a means to show off more skin, eat good food and cool down by jumping in a body of water. If you can provide these things, or at the very least suggest them and find a way to procure them, you will be on your way to making new friends, obtaining a fling, or securing a serious relationship. Once you have fired up the grill a couple of times and dried off the beach towels, it is time to understand what you have created with your new relationships. In most cases, friendships and serious relationships forged in the summer last a very long time. Most couples meet each other during the summer season. However, most people during this time don’t want a serious relationship because the summer months present more options. Thus, the more predominant summer relationship is a fling. A summer fling is when two people like each other enough to hang out, but also want to keep other options open. In other words, one person has a pool and BBQ every Saturday, but this other person has a beach house and it just so happens that this other person is a manager at a rooftop bar, and I am going to hang out with all of them. People want options. The great thing about this, is that you can and should have options too, but more importantly be an option. In order to be an option you have to put yourself out there. People are nicer when the weather is awesome, so there is no excuse to avoid talking to the cute girl at the end of the bar, flirting with the handsome man playing catch with his friends on the beach, or offering a cold beverage to someone you like. 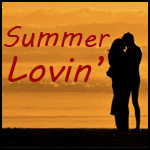 That is summer lovin’ folks; Good times, good weather and good people.